Basic Food Science Handbook from C.H.I.P.S. 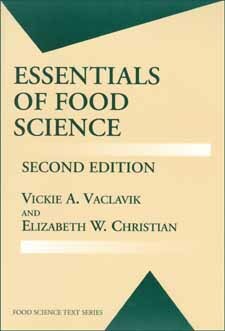 Essentials of Food Science is a basic introductory handbook examining various aspects of food production including food safety, preservation and processing, food additives and packaging, government regulation and labeling. New in this edition are "Culinary Alerts!" scattered throughout chapters. Their inclusion allow the reader to more easily apply text information to cooking applications. Using a multidisciplinary approach, Essentials of Food Science, Third Edition combines food chemistry, food technology, and food preparation applications into one single source of information.